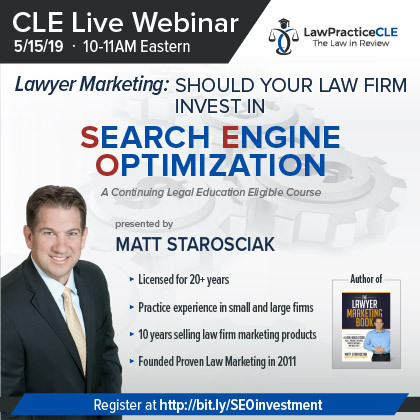 This 1-hour program will cover the most important considerations for determining if SEO is a viable strategy for your law firm as well as the key questions to ask when buying this service from a third party vendor. This live seminar will cover the steps private practice lawyers must take to ensure the upcoming year is exceptional from both revenue and career satisfaction perspectives, including specific tools and resources you can implement today to help achieve your goals. Matt Starosciak is an engaging and dynamic speaker. 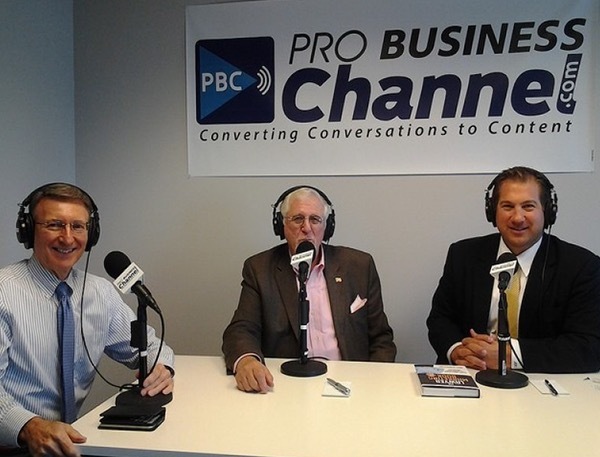 Whether presenting in person, training via webcast or sharing his knowledge on a podcast interview, Matt Starosciak engages, inspires and educates lawyers who want to grow their business. Matt has presented numerous CLE courses for our company and his work is excellent. Great style and substance along with a realistic approach to marketing challenges. Matt has a gift for making today’s complex marketing strategies easy to understand. Matt’s conversational approach to presenting information is excellent. He comes very prepared and covers the most important topics to audience members. A top resource written by a true pro in the industry. 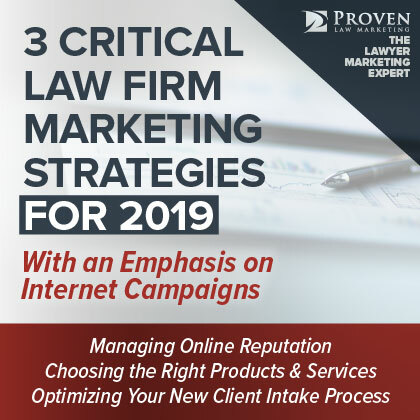 Matt Starosciak has nearly two decades of experience on all sides of the law firm marketing process, including work as a lawyer, marketing product sales rep, and consultant to some of the nation’s top law firms.